Psychic Development is an extremely powerful combination of visualizations and breathing techniques to put more power behind your thoughts. Everything that you create ultimately starts as a thought, but not all thoughts manifest into something. Through regular practice you will be able to consistently translate ideas into something tangible. A sincere student can use this technique to help start a new business, find a new home or gain self-knowledge. Maha means Great and Sadhana means Spiritual Practice. 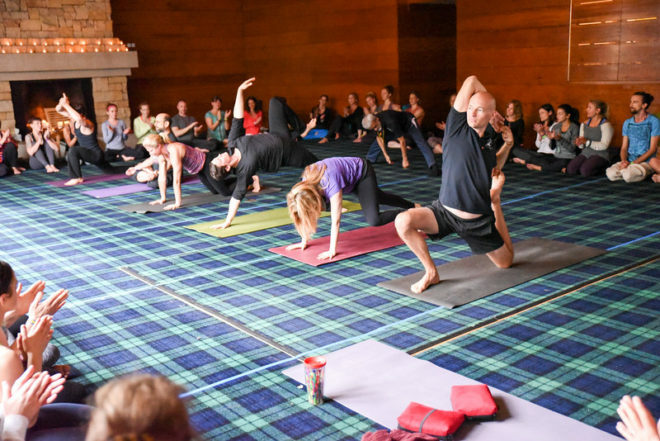 This All-Levels class is modeled on the famous class given by Yogi Sri Dharma Mittra. You will have the opportunity to practice the physical poses, breathing techniques, meditation, relaxation, mantras and ask questions on all of the above. It concludes with the joyous asana jam and devotional singing. This healing session is appropriate for all ages, who wish to finally add the healing qualities of yoga into their lives. We move the body through the classical poses very slowly, gently and conscientiously. Rests are taken between poses as the body moves towards inner introspection on a physical and meditative level. This class is highly beneficial for those returning from an illness or injury, or who haven’t moved in a long time. It is recommended for those who are looking for a gentle or pre-natal class. Everyone will leave feeling refreshed and relaxed.